I offer online sessions to clients in Michigan or Oregon. Online counseling is a videoconferencing session that many have found to be just as good, or better than in office visits. While some may not have heard of internet or online counseling, it is not a new thing. People have been successful in online counseling for years now. However, as technology continues to grow, so does the field of counseling and it’s ability to reach more people. I work through a videoconferencing company that is a HIPPA compliant platform to ensure confidentiality. Counseling via videoconferencing is not much different than being face to face in an office, but instead the sessions are conducted from the comfort of your own couch. Just some of the benefits include: no need for daycare, not having to leave work for appointments, no transportation expense, no waiting in traffic or trying to find parking, not having to wait in a waiting room with the potential to be seen by someone you know, and much more. Online counseling can also be utilized for clients whom I normally see in the office if the weather is bad, or can’t leave their house for some reason but still want to have there session. Check out my profile here on WeCounsel. I offer the traditional “in office” counseling in my office in Portland, Oregon. 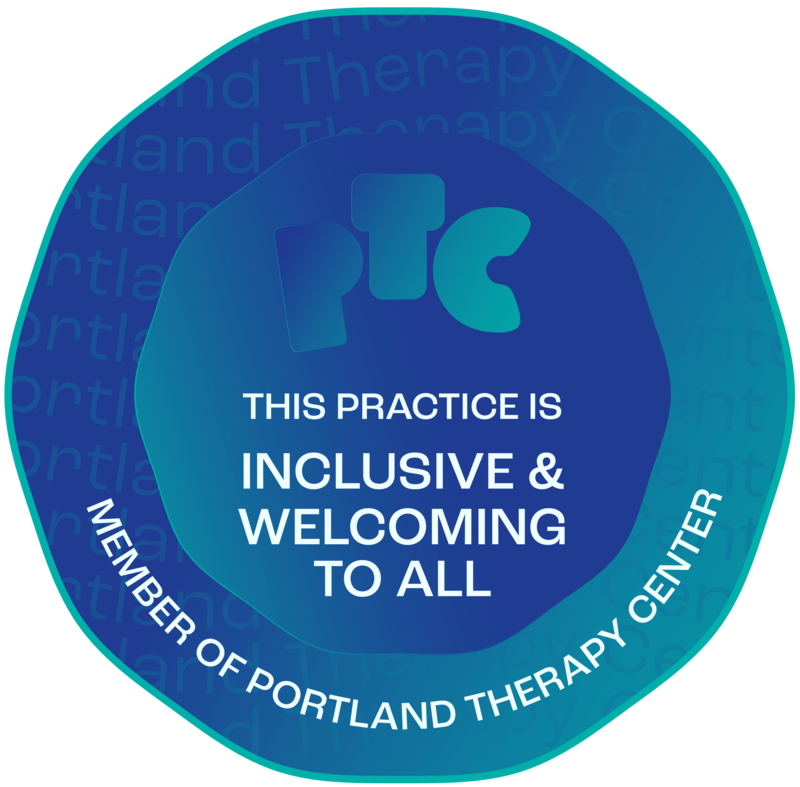 My office is located within Portland Therapy Center on 1312 E. Burnside St.
Utilizing Cognitive Behavioral Therapy and Mindfulness, individual sessions last for 50 minutes and can be as often as you choose. These are your standard counseling sessions used to target anything from anxiety and depression to stress or adjustment issues. Learn more here. Couples sessions are one hour in length and can occur as often as the couple would like. Some couples seek these because they have had a major issue causing a threat of the relationship ending, while others are just seeking to strengthen their already good relationship through learning communication skills, learning about their partner’s mental illness and how to cope and how to help, etc. Learn more here. Psychoeducation sessions are 30 to 45 minutes and are utilized in DBT treatment or for teaching general coping skills. To find out if psychoeducation sessions would be a good fit for you click here. This treatment entails combining weekly individual sessions with weekly psychoeducation sessions to treat Borderline Personality Disorder. This intense therapy yields excellent results! **In Office only** Read more about DBT here. This is a very intensive treatment available once the therapist-client relationship is strong and the client has present day coping pretty well under control. Sessions are 90 minutes and there is daily homework. It is used to treat PTSD with great success. **In Office only** To learn about working towards doing exposure work with me click here.